After a long search of intelligence gathering, Artistic Licence Renewed managed to track down the artist Trevor Scobie, who was responsible for three of John Gardner’s James Bond book covers in the 1980s. We are particularly thrilled to present this look back on these jackets by Trevor. “One of my first commissioned book jackets was from Jonathan Cape Ltd before they were at Random House, when they were in the Regency offices at Thirty Bedford Square. Role of Honour (1984), Nobody Lives for Ever (1986) and No Deals Mr. Bond (1987) were written by John Gardner and commissioned by the wonderful gentleman Tony Colwell,a director of Jonathan Cape for more than 30 years who has now sadly passed away. He believed in me and my work when I was started out as a freelance illustrator and I will always be grateful to him for that. He also commissioned me for the autobiography cover of the Swallows and Amazons author Arthur Ransome. Although we never met I very much admired Richard Chopping’s paintings for his dust jackets of Ian Fleming’ s James Bond especially the elegance of his cover From Russia, with Love, so when Tony Colwell asked me to work on some new covers it was a real privilege for me. At that stage Tony still wanted to continue the wood grain background of the previous covers. From what I can remember Tony was very insistent on the toy soldier for the Role of Honour cover. From what I remember this was a link to Jay Autem Holys battle simulation game. In the end I managed to get the tin solder from the Tradition of London Shop which specialises in hand made toy soldiers before they moved to Nottingham, when they still had a wonderful old shop near the British Museum. Once I had the reference of the solder the cover artwork was hand drawn and painted in designers gouache on a water-colour washboard. The original painting for the cover is no bigger than the printed cover. The reference for the cover Nobody Lives for Ever was a Scorpion I borrowed from the Booth Museum of Natural History in Dyke Road, Brighton from the curator Dr. Legge, a museum I have visited since I was a child. This was the last cover in the Bond series to have the wood grain as a background. Painted in designers gouache on water-colour washboard. Trevor was born in Brighton in 1956 and has worked as a professional illustrator designing and painting book covers for London publishers. His most notable works include the James Bond books , the science fiction books of Ray Bradbury and Puffin Classics amongst others. He later on moved into branding and graphic design, working with well known companies such Mercedes. Most recently, Trevor has been pursuing his passion for painting marine landscapes across the Sussex Coast. In his exhibition ‘Tidal Rhythm’, Trevor meticulously records unrepeatable moments of the natural world with the precision and detail of a master artist whilst conveying an undeniable unity and sense of spirituality with the human world. On first glance, it is easy to mistake Trevor’s oil paintings as photographs of coastal scenes or snippets of rock pools who’s fine details go largely missed by the average passer by. With his truly extraordinary paintings, he offers the viewer the chance to experience the abundance and drama of the coast, whilst also taking a moment to delve into their own reflection and to consider how our own lives which grow organically are mirrored with the ever changing natural world. 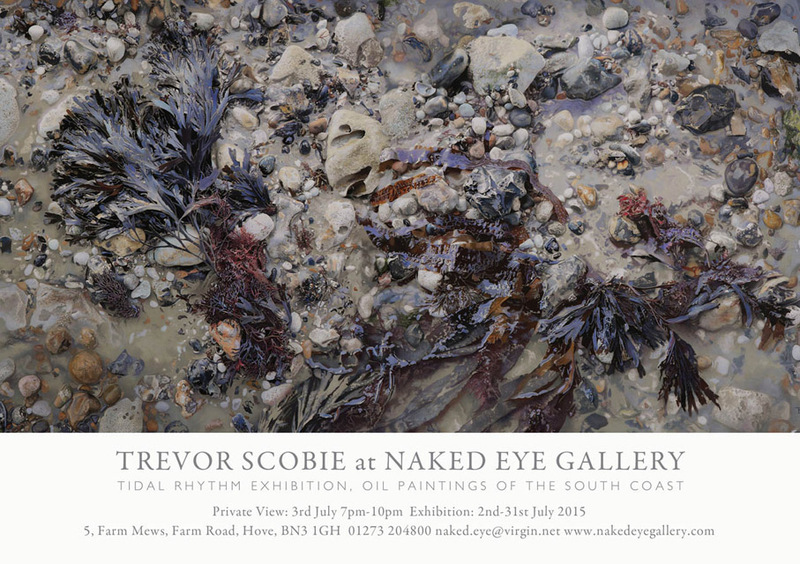 Visit the Tidal Rhythm Exhibition at the Naked Eye Gallery, 5 Farm Mews, Farm Road, Hove, BN3 1GH between 2nd July until 31st July 2015. 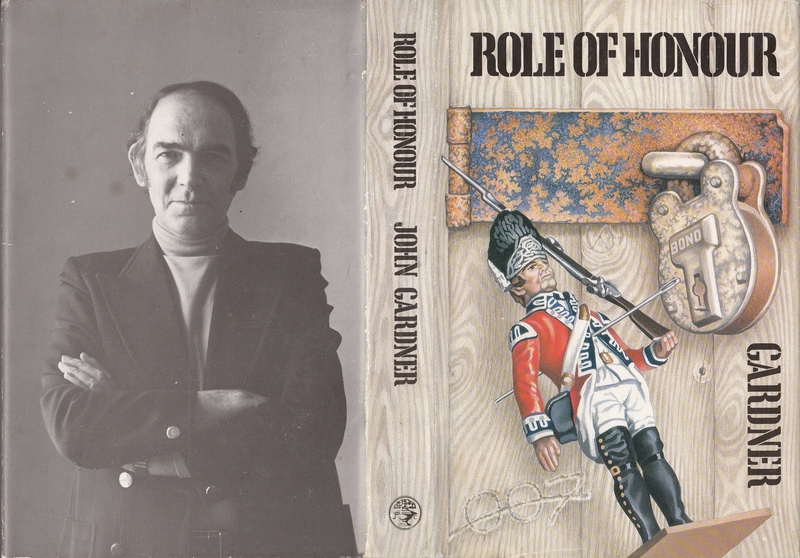 I particularly like his cover for ‘Role Of Honour’. For me,that one is up there with Chopping. Seriously beautiful art! 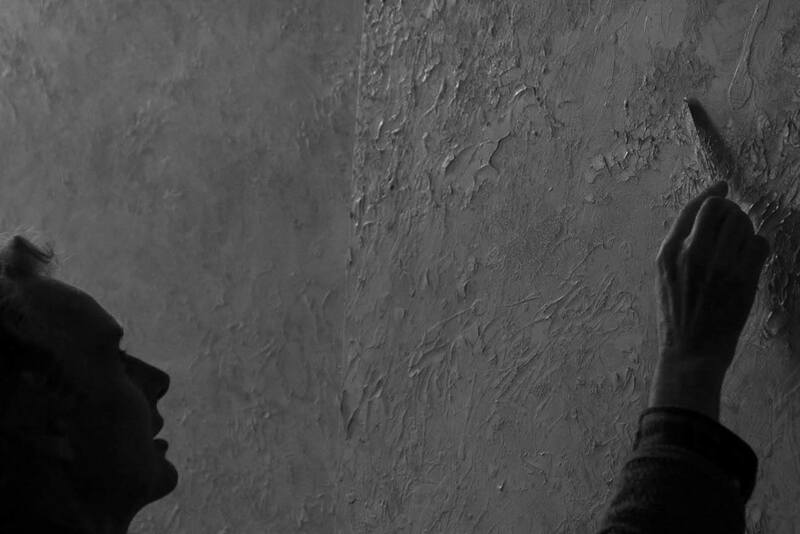 I am always awed by the quality of artistry that hyper-realism requires. Mr. Scobie’s designers gouache on water-colour book covers are enviable examples of what a graphic designer and painter can achieve when talent, vision and damn hard work all meld together. Congratulation and good luck on your show! I have these three hardcovers and I’ve always particularly liked the “Role of Honour” artwork. I always felt that the tin soldier represented Bond himself, and the blue-steel door hinge with the peppering of rust is flawless. Scobie’s first two covers could easily be slipped in amongst Chopping’s work.